In 2016 members of the group Black Lives Matter brought that year’s Pride Parade to a stop and presented the parade’s director a list of demands, one of which was that uniformed police officers be excluded. Tensions increased earlier this year after the investigation into alleged serial killer Bruce McArthur. He was alleged to have targeted Toronto’s gay community. 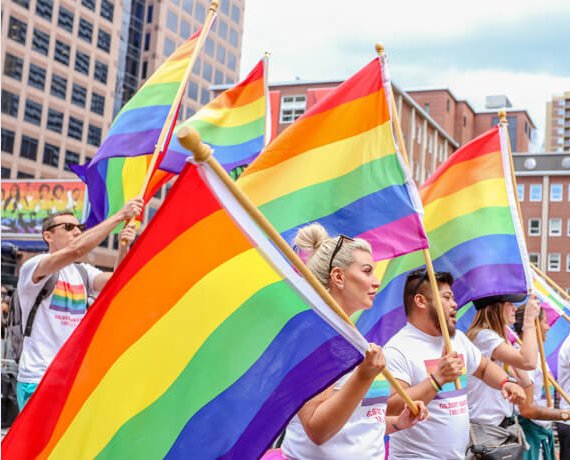 Toronto police are being welcomed back to next year's Pride Parade, after officers were excluded for the last two years. Members of the LGBTQ community accused police of not properly investigating the disappearances of several men linked to Toronto’s gay village. Police chief Mark Saunders withdrew the police application to take part in this year’s parade. Olivia Nuamah, the executive director of Pride Toronto, says the change of heart by her organization came after talks with police and the community. “Bruce McArthur happened and in that time it became clear that substantive change needed to look like us, sitting around the table and working out how we work together to keep this community safe," Nuamah said. Nuamah says she understand that some people may see the decision is premature, but she adds that taking it shows progress. She also says it was important to make the change early and not at the eleventh hour because it takes almost a year to put the festival together. Chief Saunders has welcomed the decision and intends that the police service take part next year. Black Lives Matter says it was not consulted about the decision to allow police to again take part in the parade.